As she was gathering the assessment forms from the printer we asked if we could document her, the process, and if we could interview her about what she does. Jennifer is one of the 64 recent graduates from the Resource Inclusive Special Education (RISE) Post-baccalaureate cohort program. 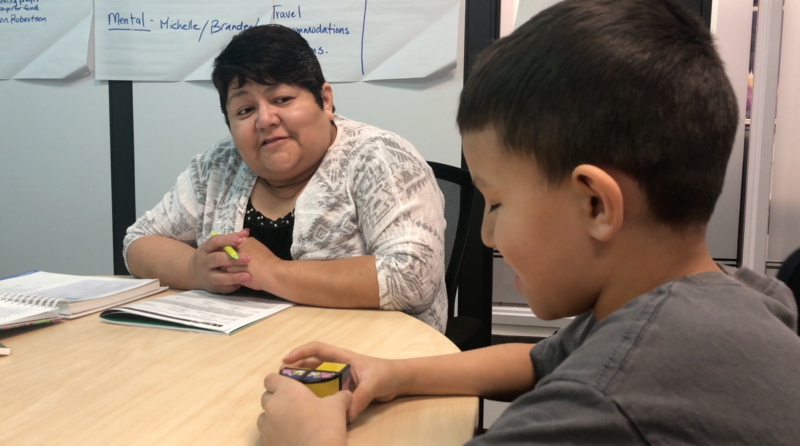 The program was the largest cohort that MFNERC has helped facilitate to date, bringing in 64 First Nations teachers from elementary, middle school, and high schools from all over Manitoba. These educators, who had committed to earning a Post-Baccalaureate Diploma with a focus on Inclusive Special Education, are now graduated and working in their First Nations communities building more inclusive classrooms. As a Special Education Facilitator at MFNERC, Jennifer works hands on with resource teachers across 10 communities and 12 schools. “When I get into a community” she says, “I ask what the teacher needs some help with. If the Resource Teacher has any concerns about a child I will review their file while I’m there. Checking if the referral process was done appropriately, to see if an assessment has been done, and if the child is delayed in any way.” She went on to explain a scenario of how this process may look. “Let’s say a child cannot read or write properly… what we may do is assign a scribe for that child, or maybe request an iPad so the student can see and learn from picture cues. 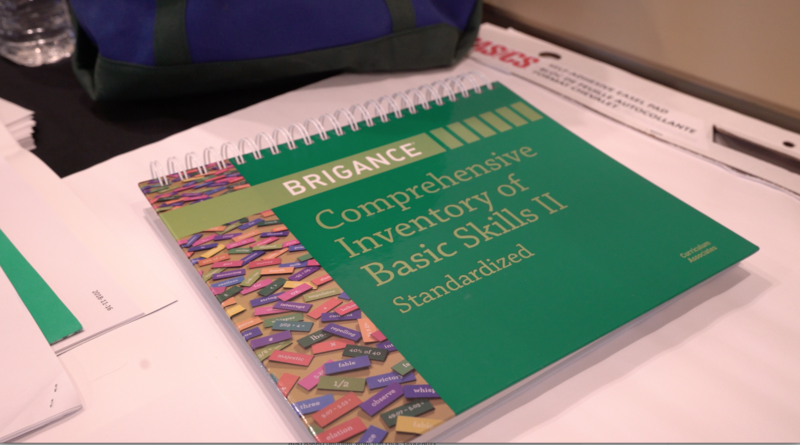 An assessment like the one I’m doing here (Brigance) helps determine if the student has a gap and where those gaps are. It also determines their grade level. Once these gaps are discovered it would be the goal of the resource teacher to focus on developing the area that needs more attention. The same assessment would be done again at the end of the year to see if the gap has been addressed. This entry was posted in Assessment, Blog, Education, First Nations, Literacy & Numeracy, Resources, Special Education. Bookmark the permalink. Both comments and trackbacks are currently closed.